I’m finally at the last movie on the Road To Infinity War, yes this week I’ve re-watched Thor Ragnarok. Technically Thor Ragnarok is not the chronological last movie in the Marvel Cinematic Universe before Avengers Infinity War, but as Black Panther came out in February I’ve already reviewed it for Road To Infinity War. 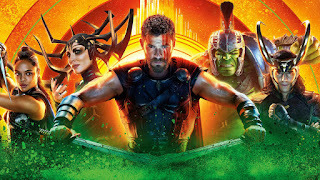 As with Guardians of the Galaxy Vol 2 and Spider-Man Homecoming, I’ve blogged about my thoughts of Thor Ragnarok very recently, so rather than repeating myself, here’s the links to the original blogposts. I do have some updated thoughts since re-watching though, and the main one is that in my opinion the movie gets stronger consistently at specific points as it goes on. I said in my original review, that I find the first 20 minutes a bit all over the place, and I still feel this is the case. As the new style of humour takes a while to get used to (chain spinning gag, etc), and there’s multiple cameos / story set-up crammed into the first few scenes, don’t get me wrong it’s great but once Hela shows up the film really finds it’s footing. The comedy and story just flows better from this point for me. The next point is once Hulk is introduced, and then I think the film gets even better once Hulk turns back in to Bruce Banner (the dialogue / banter between Thor, Banner, Loki and Valkyrie is all genius). Thor Ragnarok is absolute blast and super fun, however I do still feel that because it’s so much fun (and genuinely funny) the stakes are somewhat diminished. Asgard being destroyed should be a huge deal, but it’s undercut by the one-liners and jokes that surround it. However, it is by far and away the best Thor movie. 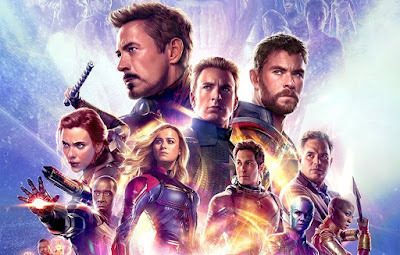 Next week, we finally reach Avengers Infinity War.